I just loved how Christine mixed up the layers and patterns on her card. So much beautiful detail. The pop of sparkle from the sequins is the perfect finishing touch. Congrats to you Christine for being the Headliner this week!! Thank you again to everyone for playing along with us. Congratulations to all our winners, please pick up your badges here. 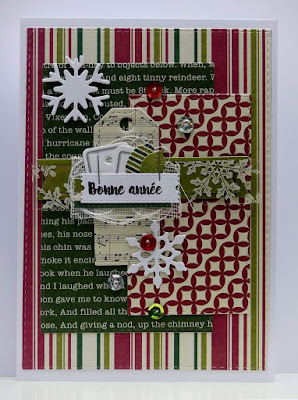 Come back tomorrow for a fun Theme Challenge from Claire! LeAnne, thanks for choosing my card as your favourite. Congratulations to the other showcased crafters. So many wonderful projects. I loved them all. Thanks so much for choosing my card! Gorgeous entries!